The first seven weeks of school have just flown by. Each grade has had a different focus during Library class. Sixth grade has been working on selecting both fiction and nonfiction titles of personal interest, while also discussing what it means to have a “Digital Life.” Fifth grade is currently working on creating a digital dictionary of important vocabulary words related to technology and the Internet. 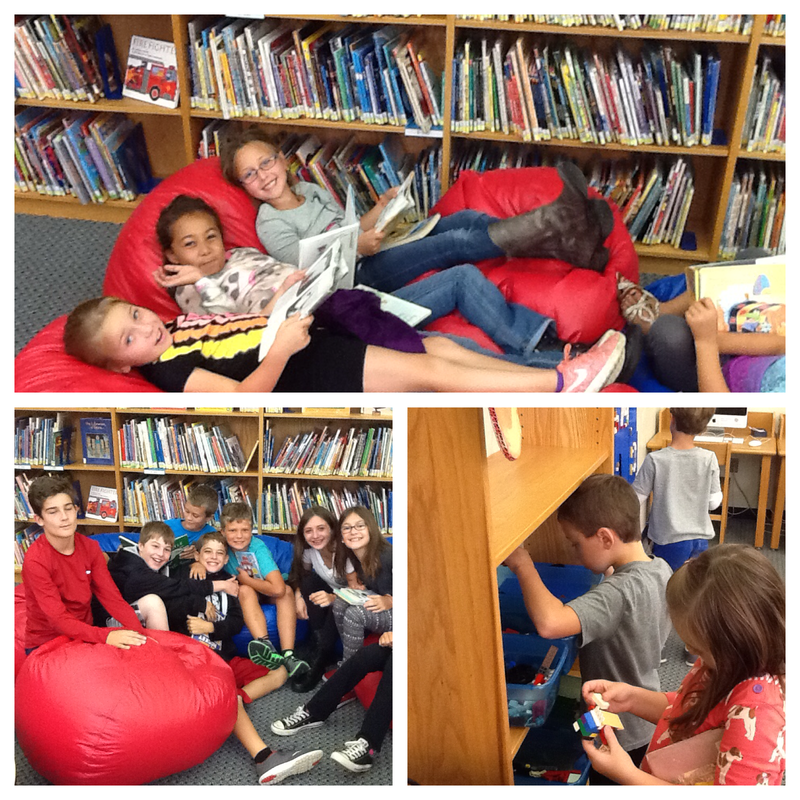 (Stay tuned to see the finished products…) Fourth grade has been focusing on the differences between fiction and nonfiction, and learning that they are kept in separate areas of the Library. Third grade has been working on expectations during book selection time, as well as discovering the fiction genre in the Library. Grade two is completing a unit on fractured folk tales/fairy tales, while first grade spent several weeks learning about Simms Taback. Kindergarten took home their fifth blue bag today which means that next week they will be able to select a book all by themselves to bring home! How exciting! Have a great weekend and enjoy your library books.